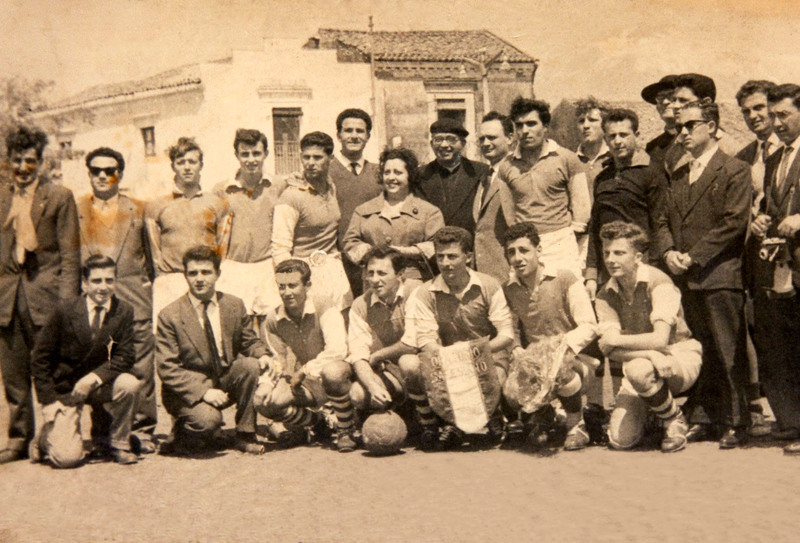 Victoria Hotspurs inaugurated the first club house in December 1959, known as ‘il-club tal-Luqa’ in St.Francis Square. Before the game in San Gregorio in Catania together with the Major and also members of Victoria Hotspurs committee. During this year, on 1st May, Victoria Hotspurs organised their first tour to Catania. Here we played a friendly match against Oratorio Salesiano San Gregorio. The game finished 1-1, where Joe Camilleri was the scorer. 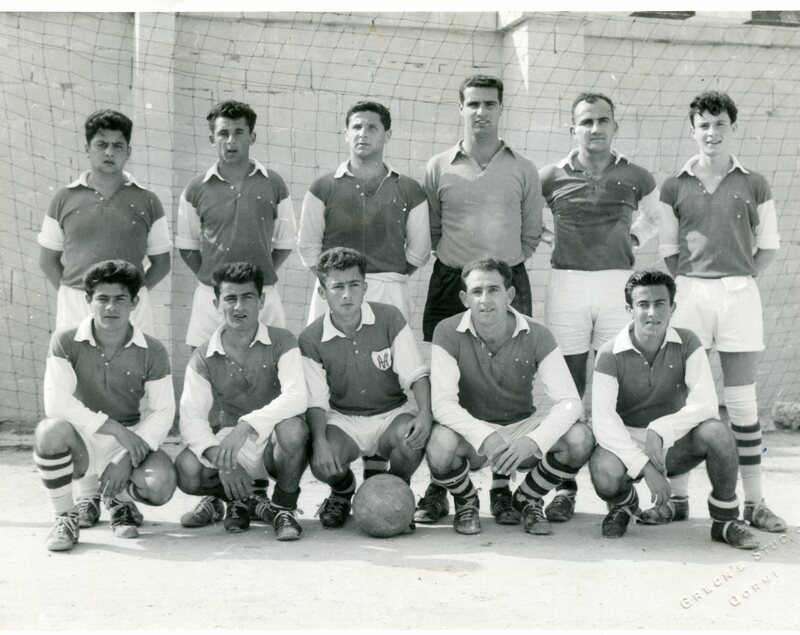 This was the first time that a team from Gozo went to play overseas. Although a number of regular players did not manage to be part of this tour, the team included three players that later became famous in politics. 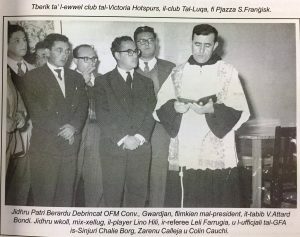 These were; Anton Tabone (ex-Minister of Gozo and ex-Speaker of Parliament), Lino Debono (ex-PL house member) and Victor Galea (ex-PN house member).